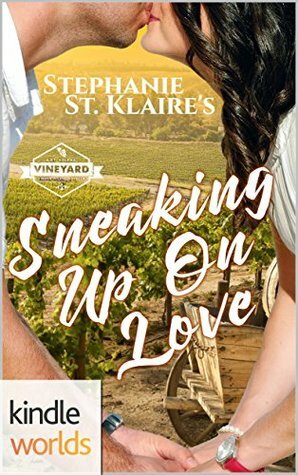 Stephanie St Klaire is one of the few authors that I seriously stalk and count down the days to her newest book release. Her writing style is just that good. Molly Sexton is a very lovable, sweet young lady who recently opened a Coffee Shop/Bookstore in St. Helena’s. For some reason town busybody Nora Kinkaid has targeted Molly for some vicious attacks. Luckily Molly has steamy hot firefighter Seth Spangler in her corner. They team up in an attempt to uncover anything gossip worthy on Nora to get back out her. These two end up in some hilarious situations in their sleuthing. The more time these two spend together the more they seem to ‘click’. They get some help along the way with their grey haired friends, which adds another level of comedy to this book. Stephanie has a way of writing that pulls you into the story. I felt I was right there sitting in the back seat in their sleuthing. This book has everything you will want in a book…intrigue, romance and laugh out loud moments. I am keeping this book on reserve for those days that I need a ‘pick me up’.